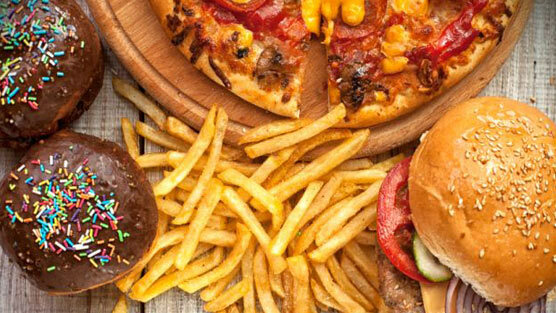 Is There A link Between Foods That Are High In Saturated Fat And Aggressive Prostate Cancer? You are here: Home / Diet Tips / Is There A link Between Foods That Are High In Saturated Fat And Aggressive Prostate Cancer? Eating a diet which is high in saturated fat, a type of fat commonly found in foods such as beef and cheese, was linked to more aggressive prostate cancer, according to a study conducted by researchers with the University of North Carolina Lineberger Comprehensive Cancer Center. Between 2004 and 2009, over 1,800 men diagnosed with prostate cancer from North Carolina and Louisiana provided information regarding their diet and eating habits. The researchers studied associations of saturated fat present in their diet and the aggressiveness of the tumor at the time of diagnosis. They used prostate cancer-specific antigen (PSA) tests, as well as the clinical stage of the cancer and Gleason grade to gauge the aggressiveness of the disease. A diet high in saturated fat was shown to contribute to higher cholesterol levels, researchers said. They noted that the link between saturated fat and aggressive prostate cancer was weaker in men who took cholesterol-lowering statin drugs. The researchers said that suggests that statins reduce, but did not completely reverse, the effect that high amounts of saturated fat may have on prostate cancer. The study also found that higher levels of polyunsaturated fats, found in foods such as fish and nuts, were associated with less aggressive prostate cancer. Further research is required in order to understand why a diet high in saturated fat is linked with more aggressive prostate cancer, Allott said. In addition to indicating that future research goals also include investigating the mechanisms behind the associations. Researchers presented their findings in April during the annual meeting of the American Association for Cancer Research in New Orleans. Findings presented at meetings are generally seen as preliminary until published in a peer-reviewed journal.